In our workshop we realize your ideas and dreams of living and life. Living and housing are connected directly each other: Just as you really like to live, your furniture and your interior should be designed. Your ideas and dreams about life and living are the basis of my designs that I shape for you personally. The result is a customized design that suits your needs and desires. For over 35 years I plan and realize creative, quality furniture & wooden objects. For all the problems, which can be solved with wood, I find solutions. Whether the customer at home, on the boat or wherever: I am flexible and work wherever my customers need me. I fall back on a team of experienced and specialized craftsmen. We also restore furniture and other items made of wood, with expertise and years of experience. For our surface finishing we only use biological materials that are tested for allergies, which are advantageous especially for persons with allergy. We build and restore for you: All kinds of furniture like tables, benches, chairs, meditation furniture, beds, shelves, cabinets and more to fancy, artistic designer furniture, door handles and decorative objects. Construction & Interior: Stairs, doors, built-in furniture and fitted kitchens. Terraces and other woodworks for outdoor areas and garden design. 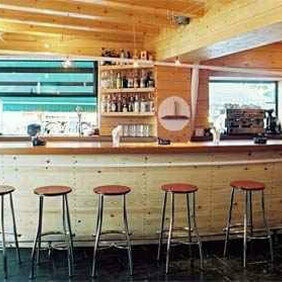 Commercial: For example, store construction, shop equipment and gastronomy. 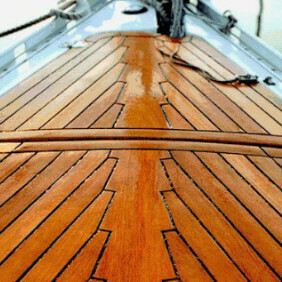 Boatbuilding: Interior fitting and all kinds of repairs for your boat which are woodworks. For your home: From kitchen and bath, bed- and living room to the entrance hall of your house. We use massive, native woods such as maple, acacia, beech, oak, ash, eucalyptus, chestnut, pine, cherry, almond wood, mulberry, walnut, olive, orange, etc., as well as bamboo and MDF boards. These woods I like to combine with glass, metal, stone, horn, paper and other materials - according to needs and desires of my customers. Whether more classic, bizarre or extravagant - after a careful planning my designs and the finished furniture are both: original and artistic. Following the principle of "form follows function". Hellenistic concepts such as symmetry, uniformity and golden ratio. Wabi Sabi, a form of art and design, which is based on Zen. 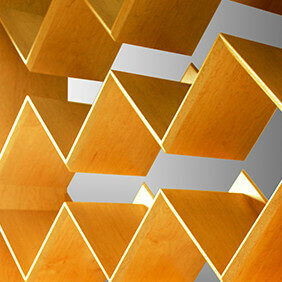 This influences the nature of the material used in the object design. Instead of acting sterile, glossy surfaces, we work with naturally treated surfaces which can aging gracefully. Traces of usage that arise in the course of time, give the furniture an expressive, unconventional character. 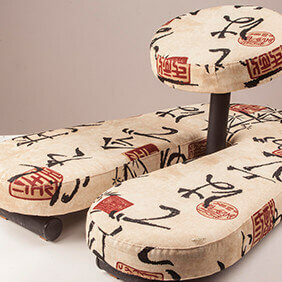 Just by this change the furniture’s and objects are attractive - in the spirit of Wabi Sabi. Wabi Sabi is a Japanese approach to the perception of beauty. Wabi Sabi is a design in which the used materials can age and fix patina. The time itself - and the associated change of the materials – are conscious design factors. Non painted wood, treated only with natural waxes, can age aesthetically. For example, traces show in its use as floorboards, stairs or furniture, which give them a personal touch as well as unique beauty. Metals that obtain rust or verdigris and stones and rocks which are covered with moss may not appear perfect, but in the meaning of Wabi Sabi their true beauty will be expressed. It is an aesthetic that conveys the imperfection and impermanence of everything.